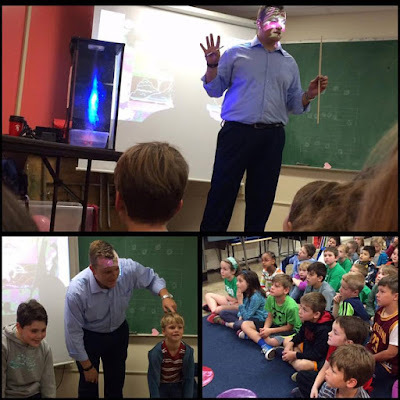 I had a school visit on Monday at Emerson Elementary and talked with the first and second graders. I had about 40 kids for that talk. My second talk this week was MUCH bigger. Morrow County OSU Ag. Extension office hosted a Farm Safety Day at the Morrow County Fairgrounds. I talked with every fifth grader in the county which was about 450+ kids. For a group that large it can easily get out of hand, but those kids were GREAT! That was also the first weather talk that I did inside a barn. Which felt like home for me since I grew up on a farm. HAHA! 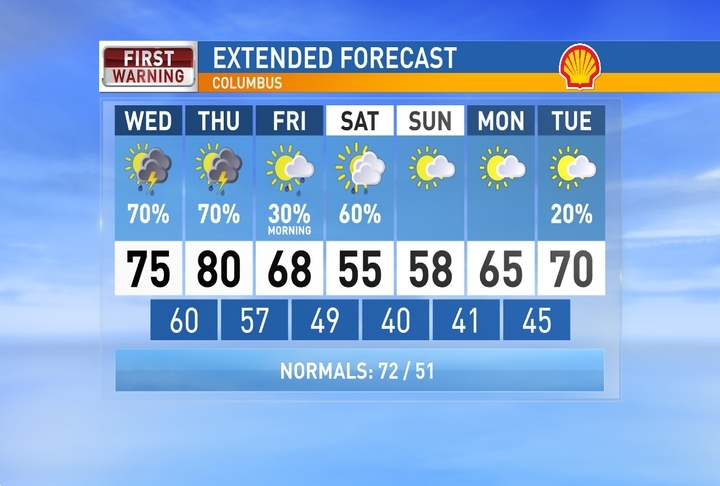 Patchy fog across parts of Central Ohio to start your Wednesday. More scattered showers and storms today and Thursday, although a little lesser of a chance of strong to severe storms today. We are still Marginal Risk for severe storms today and Thursday, but more ingredients will be present Thursday for stronger storms. Temperatures will stay warm and humidity on the rise for today and tomorrow as well. 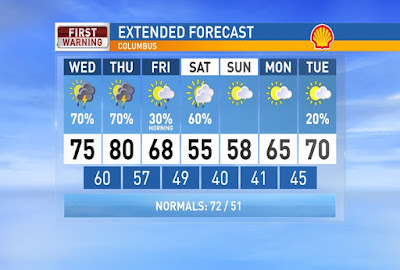 Rain wraps up early Friday then cooler air starts to arrive. Another cool blast of air by Saturday with some early morning rain followed by some light scattered showers through the day with highs in the mid 50s. We dry out a couple of days before more rain returns. Have a good one! Weekend fun & wedding in Maryland, May SNOW?!? !